For all you first-time Snake keepers, believe me when I tell you – that this is one of the most important posts you’ll want to read, and remember. Handling a snake properly, or improperly – can mean the difference between life – and death. So even if you already have that cute pet snake, and have been handling it without any issues, and you feel confident – please do read this post to the end. 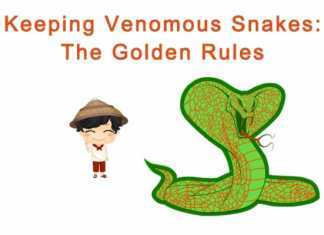 Each member of our team here at Cobras.org contributed a few of his own Snake Handling tips and experience to this post, so I can assure you, that you will definitely learn, at least one new tip. 1. Be Modest, Not a Hero. It’s totally normal, fine and even important to be afraid and cautious when approaching your snake. 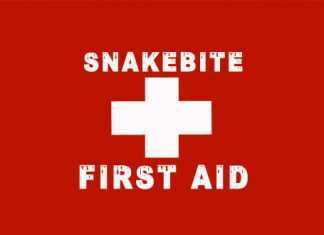 Handling a snake with too much confidence can be extremely dangerous. Don’t be overconfident and think that “I don’t need safety tools” or forget to keep a safe distance from your snake, of at least one snake-length of space. Use long tools to extend your reach. 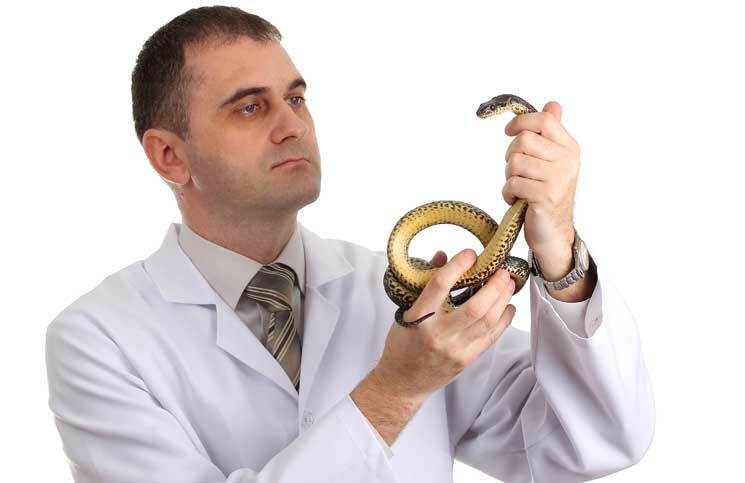 Using professional safety equipment like tongs and hooks is definitely not a requirement for handling a pet snake. You can use a broom or a mop. 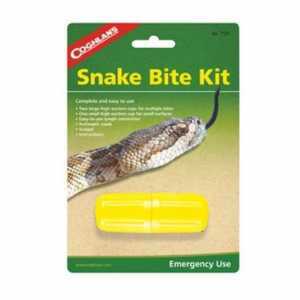 However, professional equipment can definitely do wonders in making your life much easier when handling your snake. 2. Be Slow, Not Fast. It’s crucial that you move cautiously and slowly when approaching and handling your snake. Quick surprising moves can startle and scare a snake, bringing about unwanted snaky reactions, which can of course lead to unfortunate accidents. This is especially relevant to younger snakes, which are more active and twitchy, and tend to escape more frequently from your hands. If the Snake recoils into attack mode in an “S” shape – stop immediately any attempts, and wait for it to calm down. Remember—If you move slow and stay calm, then your snake will stay calm. You do not want to contaminate or endanger your snake with dirt or bacteria, so be sure to wash your hands before handling your snake. Some snakes might release strong odors when touched, plus – you do not want to endanger yourself as well, so wash your hands also after you finish handling or playing with your snake. You don’t need any equipment for this, just some good old soap. Your snake will be much happier and even thankful, if you handle it carefully, gently and securely. A Snake can detect if someone is touching and handling him aggressively or without any proper care, and believe me—the snake will react accordingly. So when you hold your snake – think of his safety. Use both your hands and arms and give the snake as much care and support as possible, preferably at its mid-body area, and never ever grab it by its head or hang it around your head! Also don’t grab it by its tail alone, as it might instantly spin and bite you. No matter how gently you treat your snake, there’s always that tiny little chance of something going wrong, so protect your body with some basic equipment. 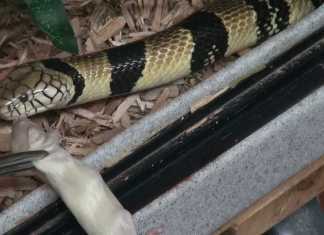 Wear gloves when handling your snake, even if he’s not venomous. One tiny bite can make you bleed all over the place and even cause a bacterial infection. Protect your feet and legs as well, by wearing boots. And of course, wear glasses when confronting a Spitting Cobra that accidentally infiltrated your garden, since this unique Cobra loves to aim for the eyes. This basic equipment gear is crucial for your protection. As mentioned, keeping a safe distance from your snake is pivotal – even when handling or transporting your snake. When transported—put it in a snake bag and connect it to a stick or pole – so a fare distance is still kept. Most vipers can sense your heat and attack even through the bag, so be smart at all times! If you really want to play it safe – buy a snake trap, which prevents any strike at all. Don’t force yourself on your snake at any time. Similarly to humans, Snakes need some time alone, specially during their feeding time, but also while they’re shedding their skin. Don’t handle your snake when it’s deep asleep. The best times for handling your snake are when he is sluggish and inactive. So remember, be considerate and respectful towards your snake’s schedule. If you do, he will respect you in return, and eventually become your mate. Always try to learn more about your snake type, it’s common behavior and characteristics. Read blogs of fellow snake owners who share their experience of handling their snakes. As they say, “Knowledge is Power”, and there’s no doubt you need it when facing a Snake. So educate yourself constantly, and I promise it will definitely help you in your mission. 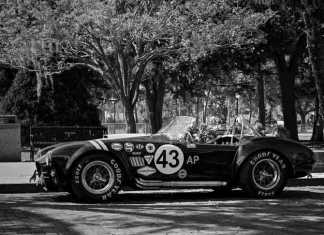 From your friends at Cobras.Org!